Express Roll-Off promises to provide you with award winning service you can trust. Express has received the award for 'Best in Rubbish & Garbage Removal & Containers' in the Melbourne, FL area for 3 years in a row. Express respects you and your property. We are a licensed and insured, family owned & operated waste management company with an impeccable safety record you can trust. 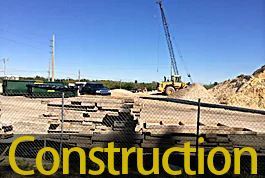 Express doesn't charge undisclosed fees only actual dump fees in addition to rental (if incurred). We provide our customers with a dumpster rental agreement which saves our customers money - this outlines all of our policies up front - we take the guess work out of roll off bin rental. We believe in full disclosure, by outlining what our customers can and cannot dump; resulting in smoother service. Express accepts all forms of payment - cash, checks, and all major credit cards Express Rolloff offers same say service (in order to guarantee desired day and time it's best to call 24-48 hours ahead of time for free delivery or pick up). Nobody wants to overspend on waste removal, at Express Roll Off, our prices can't be beat. Don't throw your hard earned cash in the trash. We make renting a dumpster fast and easy, so don't bother with the rest, reserve your roll-off with Express. Rolloff bins rentals service areas include: Palm Bay, Melbourne, Titusville, Merritt Island, Rockledge, Cocoa, Viera, Suntree, Cocoa Beach, Satellite Beach, Indialantic, Melbourne Beach, Sebastian, Indian Harbor Beach, Malabar, Port Saint John, Sharpes, Mims and all surrounding areas located within Brevard County Florida. Why Choose Express Roll Off Dumpster Rentals? With container doors that swing open so you won't have to lift & load debris over the side of your dumpster rental.​ We've got your back, Our Dumpster Doors Open! We offer upfront pricing with no add on surprise charges. We provide you with a roll off dumpster rental agreement and cheap dumpster rental prices from only $14.28/day (based on 2 week dumpster rental term). Click the Google Icon and Rate Us – Please be sure to leave us a review after you've rented from us. We would love to hear from you. CALL FOR A QUICK QUOTE! Every City located in Brevard County, Florida! 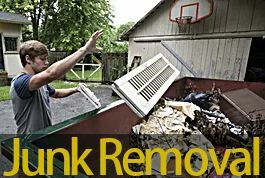 ​We proudly service all cities and zip codes below with trash hauling. 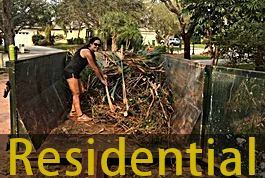 You simply fill the receptacle once it is dropped off at your home or construction site and we pick up the unwanted debris and dispose of it for you for one low price. Drop off and pick up of the 10, 15, 20, and 30 cubic yard steel bins is absolutely free.